Becoming a Patron or Sponsor today! If you have any questions click to contact us. What is The Billingham Legacy Foundation? The Billingham Legacy Foundation Ltd. is a limited by guarantee not for profit company which has been established to administer on behalf of the Billingham community. All roles held within the Legacy Foundation are on a voluntary basis at no cost to the Foundation. The Billingham Legacy Foundation is also supported by The Billingham Legacy Foundation Supporters Group who work to raise money for the foundation throughout the year. Low Grange Community Centre, Low Grange Avenue, Bllingham, TS23 3PF. See all the news and updates from our latest event. 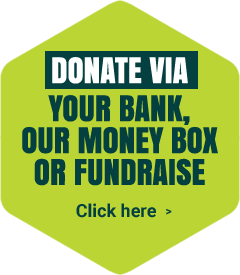 There are various ways to donate to the Billingham Legacy Foundation, click below to download our leaflet on the best ways for you to join in and donate. All finance raised by the Foundation is invested within the Billingham Legacy Fund and never spent. Only the interest from the investment is ever used.